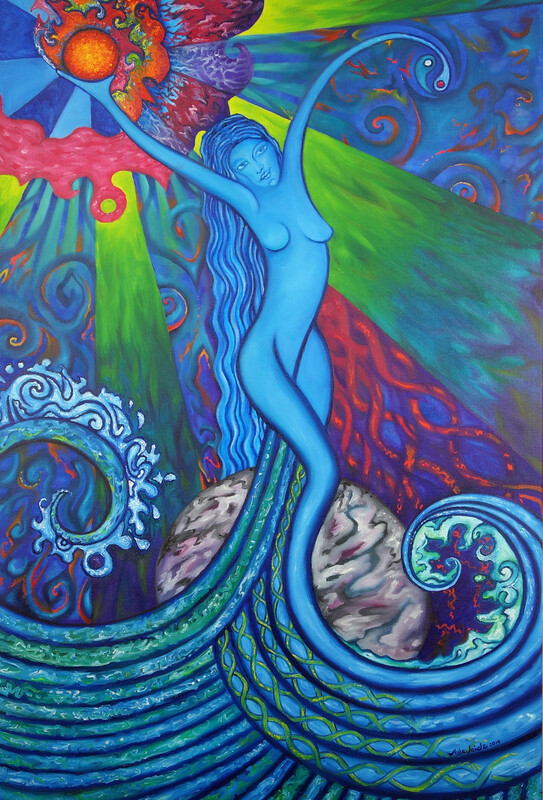 A part of the ‘Elemental Alchemist’ series, this goddess represents and embodies the element of water. She emerges from the ocean waves to get a taste of the sun. Read poem below.